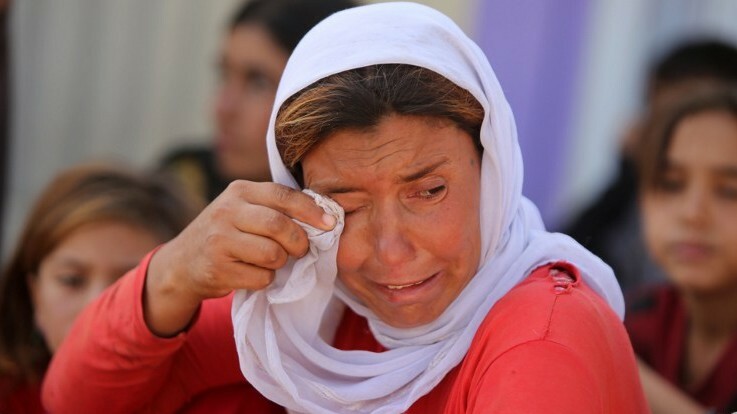 Bajid Kandala Camp, Irak (AFP) — In a dusty, ill-equipped camp in northern Iraq, Yazidis fleeing a jihadist offensive say members of their families — men, women and even babies — have been abducted by militants. The mass kidnappings by the Islamic State (IS) jihadist group targeted those who either refused or simply could not flee a string of villages around Mount Sinjar, one of the minority’s main ancestral homes in northern Iraq. 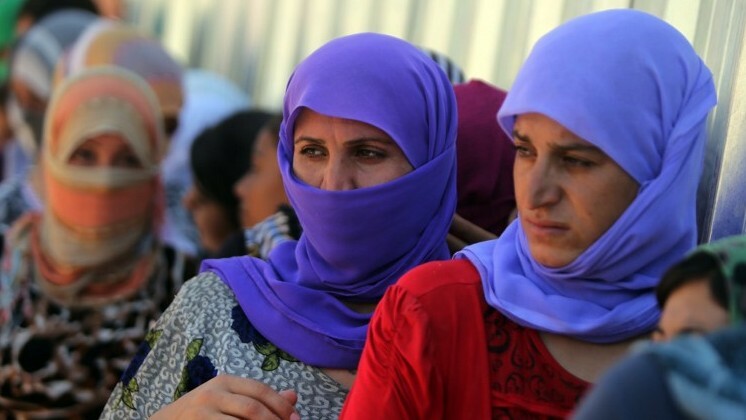 “My two cousins and my two uncles were kidnapped,” said Jacqueline Ali, a 17-year-old high school student now sheltered at the Bajid Kandala camp near the Tigris River, in the autonomous Kurdish region of northern Iraq. Cradling her sister’s infant, she spoke quietly as her large brown eyes welled up with tears. 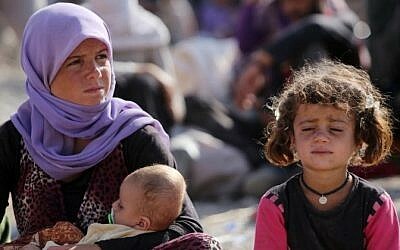 “Their sisters and mothers are so scared for them that they have been refusing to eat since we arrived in the camp. We are really afraid for them,” said Ali. 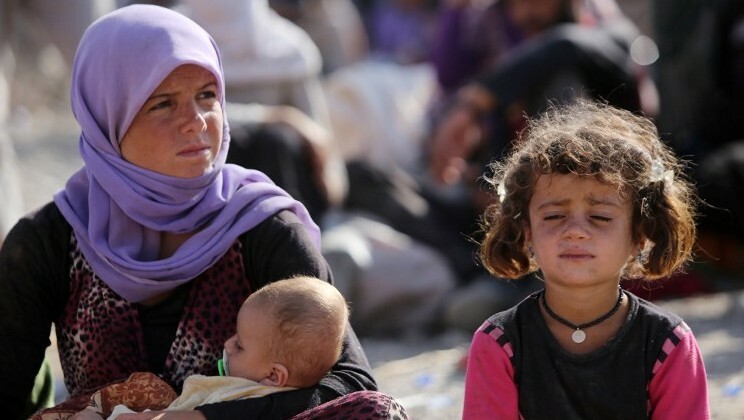 Some 200,000 people escaped to safety in Iraq’s Kurdish region, but others remain on the mountain, and Amnesty International’s Senior Crisis Response Adviser Donatella Rovera said the fate of “thousands” of abductees remains uncertain. “The victims are of all ages, from babies to elderly men and women,” she told AFP. “It seems they took away entire families, all those who did not manage to flee,” Rovera said. “We fear the men may have been executed,” Rovera added, describing the kidnappings as a “crime” under international law. 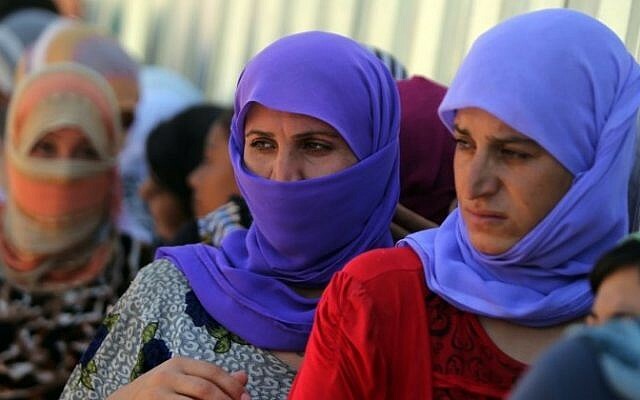 Two women — Leila Khalaf and Wadhan Khalaf — were among those kidnapped from Mujamma Jazira village, said their relative Dakhil Atto Solo, adding that the abductions happened after residents tried to resist the IS attack. “Of course we tried to defend our villages, but they had much bigger weapons. All we had were our Kalashnikovs,” said Solo. “They executed 300 men, and took the women to their prisons. Only God can save them now,” he said.